This awesome 5 foot by 6 foot shield sign is red, white, and blue. 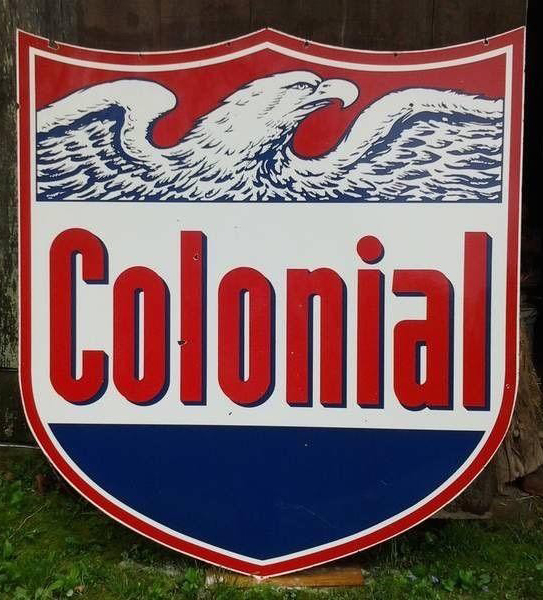 In the center of the sign there is the text “Colonial” on a white background in red text. Above the word is a bald eagle made out of blue and white colors.